Last week our first ever 3-day, global music business conference, AIM Connected, took place in Studio Spaces, London. One of the highlights of the event was the launch and celebration of shesaid.so‘s Alternative Power 100 List 2019 on Tuesday evening. The #AltList2019 is part of shesaid.so’s ongoing efforts to empower women and other underrepresented music communities as a means to challenge conventional music industry standards. This year’s theme is Community and the list highlights individuals and collectives that have contributed positively to the music community. 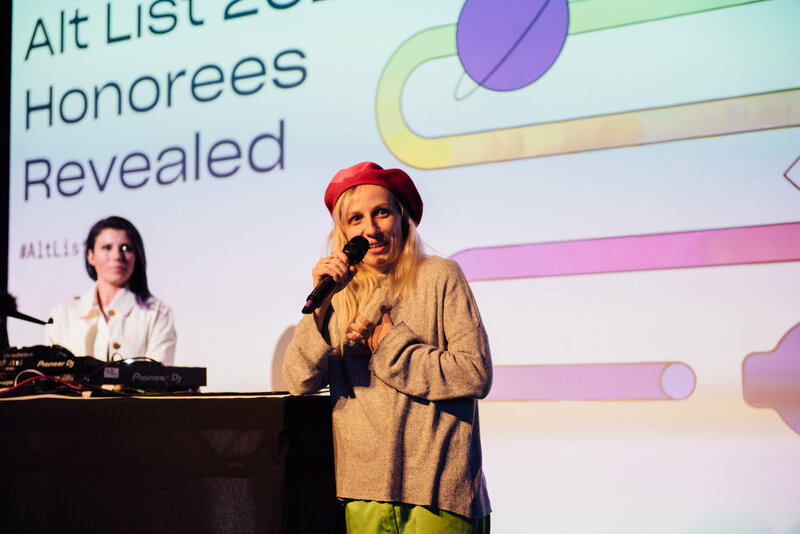 The Founder of shesaid.so, Andreea Magdalina, made an introductory speech, in which she described how the Alt List was created, and the importance of providing an alternative celebration for music industry professionals. We were delighted to have our Head of Legal and Business Affairs, Gee Davy, make an extremely well-deserved inclusion on this year’s list! Joining AIM from Cooking Vinyl in 2017, Gee has been a tireless servant of the independent community for many years, and brings non-stop enthusiasm and expertise to the AIM team. A number of members of the AIM community were honoured this year including: Alex Bean (37 Adventures), Karen Emanuel (Key Production), Gee Davy (AIM), Mulika Sannie (Kobalt) and Nadia Khan (CTRL MGMT). Over 20 AIM Connected speakers also featured this year. You can find the full list of 2019 honourees here. 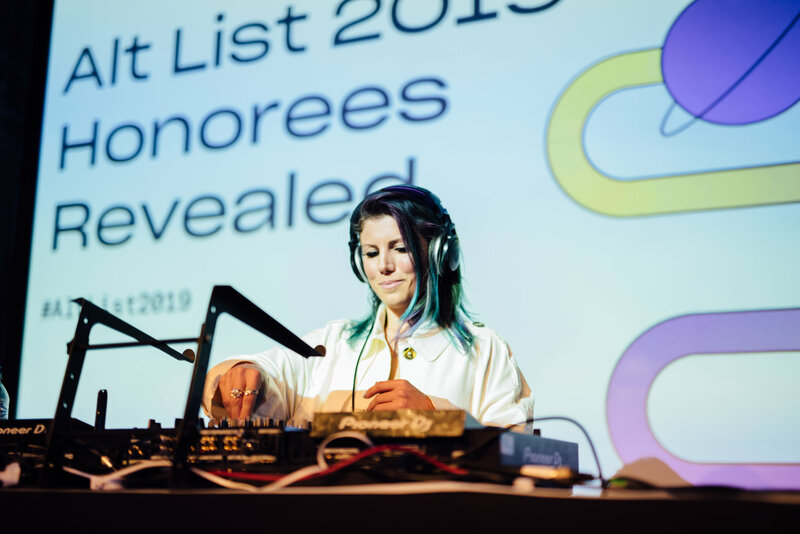 The announcement of the Alt List 2019 was followed by a drinks celebration, canapés and DJ sets from members of the shesaid.so community Carly Wilford (SISTER Collective) and Tayo Iku. Andreea Magdalina, Founder of shesaid.so, says: ‘We created the Alternative Power 100 Music List to give voice to those whose work in the music industry often goes unnoticed. Not because it’s not good, but because it doesn’t fit the traditional sense of power and success. The #AltList set out to redefine what power means in the music business, celebrating people of all genders, ages, career levels and earning figures. We firmly believe that creating more visibility for these individuals and initiatives will ultimately lead to a more diverse, inclusive and financially positive music economy.